Does the oil product you are feeding your horses come in a container that looks like it contains motor oil? If it does, then you need to be very, very worried indeed. The irrefutable facts about oils is they are all degraded and made rancid when exposed to heat, light and oxygen. Unless oils are stored below 20 degrees from inception they are worse than useless. However they are exposed to heat during processing which includes deodorizing and hydrogenation which produces damaging trans-fatty acids. Nice black plastic container, yes keeps out the light, but the oil inside is already exposed to light during processing and before it is packaged. Light destroys the vital biological properties of the essential fatty acids and induces free radical chain reactions producing toxic compounds. These oils are exposed to oxygen during processing so already subjected to the damaging effects of oxygen. Even in the absence of light oxygen breaks down EFAs and produces rancidity with its fishy smell, also producing toxic compounds. Here I quote from Dr Udo Erasmus PhD, the international authority on this subject, from his book “Fats that Heal, Fats that Kill”. “Let us briefly summarise what happens from a nutritional point of view when oils are made. We begin with a seed that is a rich source of essential minerals, essential vitamins, essential fatty acids, essential amino acids, fibre, lecithin, phytosterols, and health-promoting minor ingredients. Even in making a fresh, unrefined oil – the highest quality oil there is – all of the protein and fibre present in the seed is lost, as well as some minerals and vitamins. It still contains essential fatty acids, oil-soluble vitamins, lecithin, phytosterols, minor ingredients and some minerals. During processing, most of the remaining minerals and vitamins are removed. All of the protein and fibre is already gone. Lecithin, phytosterols, and minor components are also removed, and some EFAs are destroyed. In addition, processing introduces toxic molecules resulting from the breakdown and alteration of fatty acid molecules. Trans-fatty acids are created by hydrogenation, the addition of hydrogen molecules during processing which changes the structure of natural essential fatty acids to make them more saturated. This interferes with the body’s ability to utilise essential fatty acids. Trans fatty acids disrupt the vital functions of essential fatty acids, especially in regard to muscle tone, the inflammatory response and immune function. They change the permeability of cell membranes and impair the protective barrier around cells, resulting in diminished cell vitality and the likelihood of allergic reactions and impaired immune function. They also affect the ability of the heart to perform which could have fatal consequences in situations of increased activity or stress. So if you are adding a cup of “vegetable oil” to your horses’ diets you are adding trans-fatty acids, NOT essential fatty acids. 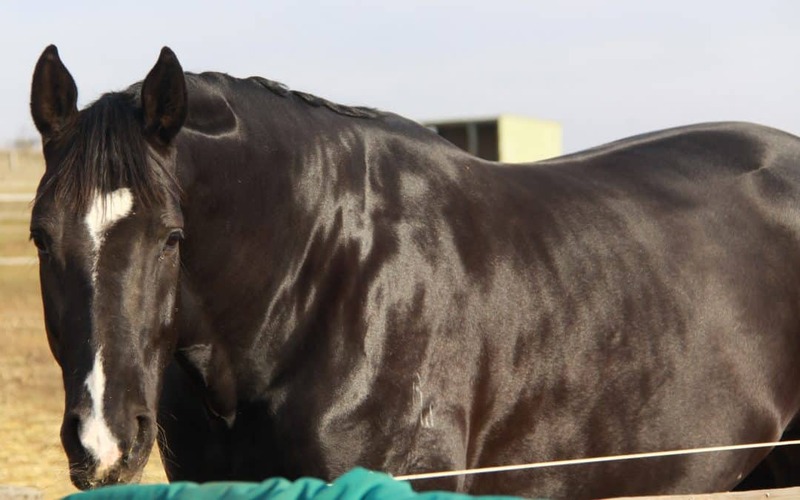 Canola Oil is not a good oil for horses for a number of reasons. It has virtually no Omega 3, is low in Omega 6 (only 30%) and is high in Omega 9 which creates promotes the inflammatory response. Added to that it is in fact genetically engineered rapeseed and contains trans-fatty acids. Coconut Oil isn’t much better as it is also mostly Omega 9 and is highly prone to rancidity from the moment it is processed out of the coconut itself. Also not a natural feed for a horse. The best oils are unrefined and taste like the seed from which they were mechanically (expeller) pressed without solvents. These are usually known as cold pressed oils. Nature has a great way of protecting these vital oils – inside the seed itself! Until the seed is broken the oils inside are protected from light, heat and oxygen. From the horse health viewpoint, chewing the seeds is beneficial, as it is initiating the first stage of digestion and keeping teeth healthy, and providing roughage and protein. All the vital health giving nutrients in the seeds are also protected in this way until they reach the consumer, your horses. WHICH OILSEEDS ARE BEST FOR HORSES? We need to choose seeds to produce a balance of omega 3 & 6 fatty acids. The easiest way to do this is to use black sunflower seeds, fed whole, and linseed (aka flaxseed) fed as an unrefined oil and as part of a porridge. 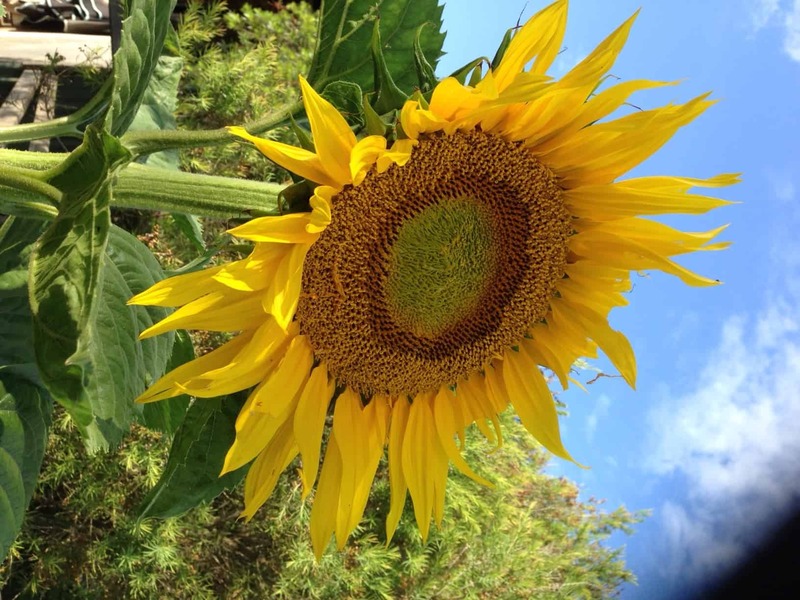 A good ratio is 3 – 1 (sunflower to flax). Sunflower (and safflower) contain 65 – 75% omega 6, the highest sources followed by wheat germ oil (50%). Linseed (aka flaxseed) contain 58% omega 3 alpha-linoleic acid to be precise, the highest source followed by Chia at 30%. A porridge made of linseeds (usually with French white millet) releases the valuable mucilage in the seeds but most of the oil evaporates off so it is sometimes necessary to replace this with the addition of the cold pressed oil. The porridge is a wonderful drought feed, winter feed and cool conditioner, inexpensive, but a bit time consuming. Flax has been used since antiquity to maintain healthy animals. It is a highly nutrient rich seed, 100 grams of seed will give 35 grams oil, 26 grams protein, 14 grams of fibre, 12 grams of mucilage, 4 grams of minerals and 9 grams of water. It is rich in lignans which are rarely found in other seeds. Lignans are cyclic molecules with anti-viral, anti-fungal, anti-bacterial and anti-cancer properties. The next best source of lignans is wheat bran, but flax contains 100 times the quantity in bran. 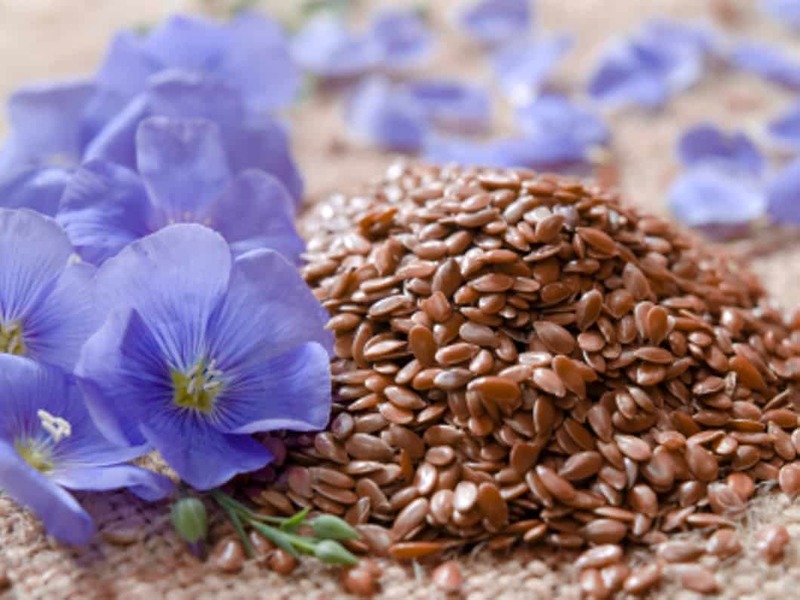 Flax is also a rich source of amino acids making it a quality protein. Traditionally linseeds have always been boiled before feeding to horses to release the highly volatile cyanogenic glycosides which are toxic to horses. However modern practice is to feed freshly crushed linseeds to horses. This is fraught with danger. Apparently the Americans have bred out these glycosides, but that is not the case in Australia as I have checked with the major growers. 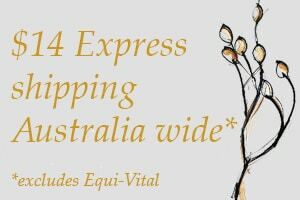 They are fed whole so very easy to add to the feed and are they are highly palatable to horses. They provide the high source of Omega 6 fatty acids, linoleic acid to be precise, which inhibits inflammation, activates immune cells, prevents arthritis, prevents liver and kidney damage, improves the condition of the skin, hair and hooves, helps to heal wounds, promotes a healthy heart and circulation, and balances hydration among many of its vital functions. Sunflower seeds also contain highly bio-available amounts of Vitamin E and Zinc making them an excellent fertility package as well. They grey striped sunflower seeds are more expensive and have a lower oil content than the black ones. So don’t feed these.